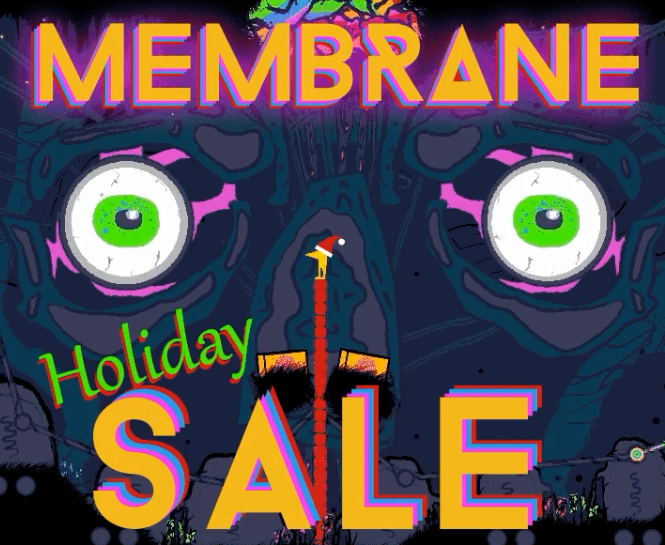 Membrane is currently taking part of the Festive Offers sale put on by Nintendo! Its been an up and down year for us as such a small studio competing with all the awesome indie content that was released this year. We decided to put our game on such a SUPER SALE, not focusing on making a lot of money but instead trying to get our game in front of more eyes able to see and play the game we put so much time, love and effort into. Help us rock this holiday and get as many friends, family and foes playing! You can currently grab Membrane for just $1! Hop in on the deal while you still can. If you want to know more about Membrane, check out the full details here!